The report pulls data from the U.S. Census 2014 American Community Survey, which showed 26 percent of Kentucky kids living in poverty. That’s up from 23 percent in 2008. Nationally, about 22 percent of children live in poverty. Brooks said poverty is the most pernicious challenge to young people in Kentucky. The best way to combat childhood poverty in Kentucky is to approve a statewide earned income tax credit, he said. Such a measure would allow a more substantial tax refund for families meeting certain income thresholds. The federal model currently in place allows a two-child family earning less than $50,000 a year to get back up to $5,500 annually. “Because it puts money in local economies, it’s not a Frankfort budget-buster, it actually helps build state budgets,” Brooks said. If enacted, a state EITC could generate an estimated $134 million more for low and middle income families, according to a 2013 report from Brooks’ group. State Rep. Rick Rand, a Bedford Democrat, said an earned income tax credit would be a broader effort to assist poor Kentucky residents compared with the state’s family size tax credit. He said any effort to address establishing a state earned income tax credit would be lumped together with a larger push for comprehensive tax reform. Other elements factoring into the overall economic well-being of children include the number of kids living in homes burdened with high housing costs (28 percent) and the number of teens not working and not enrolled in school (8 percent). “You can bet that those 19,000 teenagers are not in a good place,” he said. To address this, Brooks said state and local leaders should continue efforts aimed at guiding kids in the state’s foster care system toward success. The report highlights other areas of concern as well. For instance, nearly 60 percent of fourth graders in Kentucky aren’t reading at a proficient level, and nearly 72 percent of eighth graders aren’t proficient in math, per the report. Brooks cheered findings showing childhood health is improving in the state. The 2016 report shows decreases in the rate at which babies are born with low birth-weight (8 percent), the number of children living without health insurance (4 percent), the number of teens abusing alcohol or drugs (4 percent) and the death rate among children and teens (28 per 100,000). Another takeaway is the finding that nearly 328,000 children in Kentucky live in single-parent families. That’s about 35 percent of the state’s child population and a mirror of the national rate, per the report. “If we’re going to lift families up … we’ve got to adopt new models and new practices to reach new kinds of families,” Brooks said. 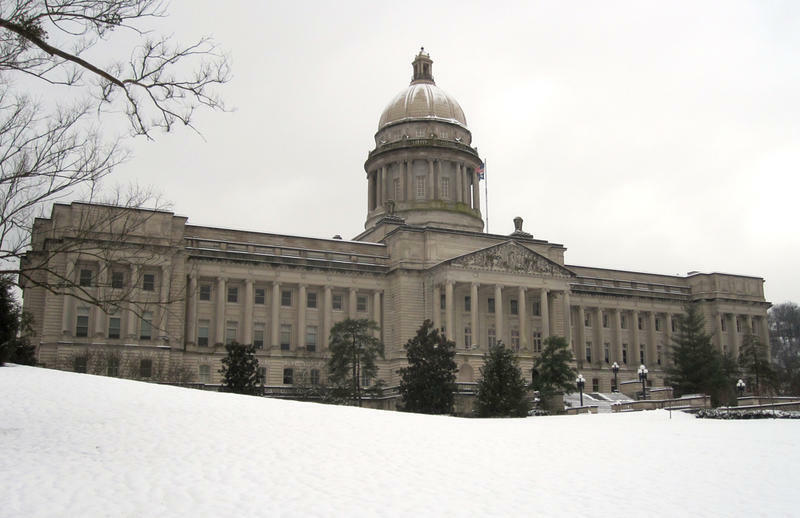 The leader of the Kentucky Youth Advocates is renewing his call for state lawmakers to pass an Earned Income Tax Credit. Terry Brooks points out the federal government and 32 states offer the program. The refundable credit is aimed at low-to-moderate working individuals and couples, and is based on income and number of children. Brooks says the program has gained bipartisan support throughout the years. Brooks says an Earned Income Tax Credit would be an effective tool in fighting poverty in the Bluegrass State. A report issued by the Kentucky Youth Advocates last fall showed 26 percent of the state’s youth live in poverty. “Unless, and until, we as a commonwealth begin to address that aspect of what it means to grow up in Kentucky, health outcomes, academic achievement outcomes, safety outcomes are all going to be tamped down,” Brooks said. Despite improvement in the national economy in recent years, more Kentucky children were living in poverty in 2014 than the year prior, according to data released this month by the U.S. Census Bureau. About 260,000 Kentucky children lived in poverty in 2014, accounting for more than 26 percent of the state’s kids, the Census data show. That’s a slight increase from 2013, when the rate was 25.3. Although the one-year shift is considered statistically insignificant, it means that nearly nearly 9,000 more children lived in poverty across Kentucky during 2014 than the year before. And it confirms a steady increase in the state’s child poverty rate since the epic economic recession that began in 2008. That year, about 23 percent of Kentucky kids lived in poverty, according to an analysis of the U.S. Census data by Kentucky Youth Advocates. It’s a trend consistent with the overall state poverty rate, which has increased from 17 percent to 19 percent since 2008, the data show. 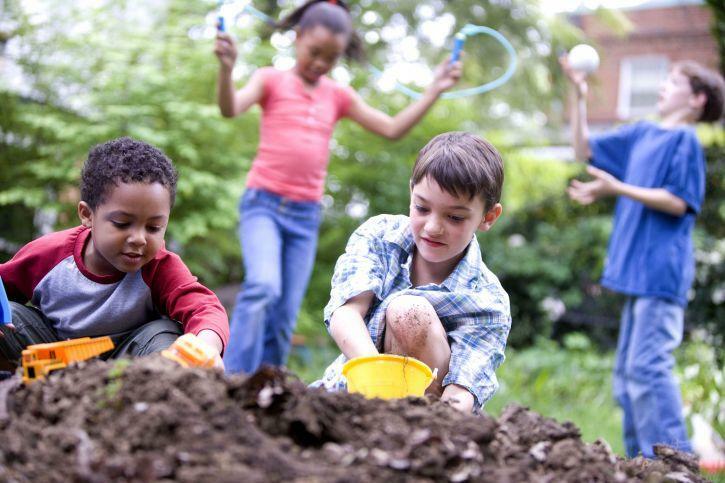 Children living in impoverished families are more likely to find hardship in social and academic settings, said Terry Brooks, executive director of Kentucky Youth Advocates.